Why spend a single hour being bored when you can sail down the Nile and walk like an Egyptian? 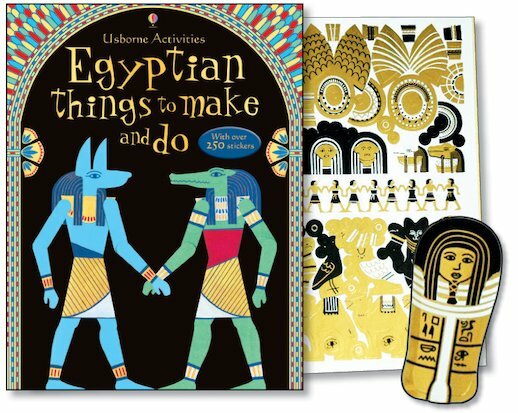 Get a taste of life in exotic Ancient Egypt with a treasure-trove of fab activities. Dress up like a pharaoh! Make scary scarab beetles! Create your own jackal god! Make a moaning mummy in a tomb! With shining gold stickers to decorate your creations, and instructions on how to write in hieroglyphics, this book is as good as a tombful of treasure.